#54 Randy White loves Football, Fishing, and Philanthropy. 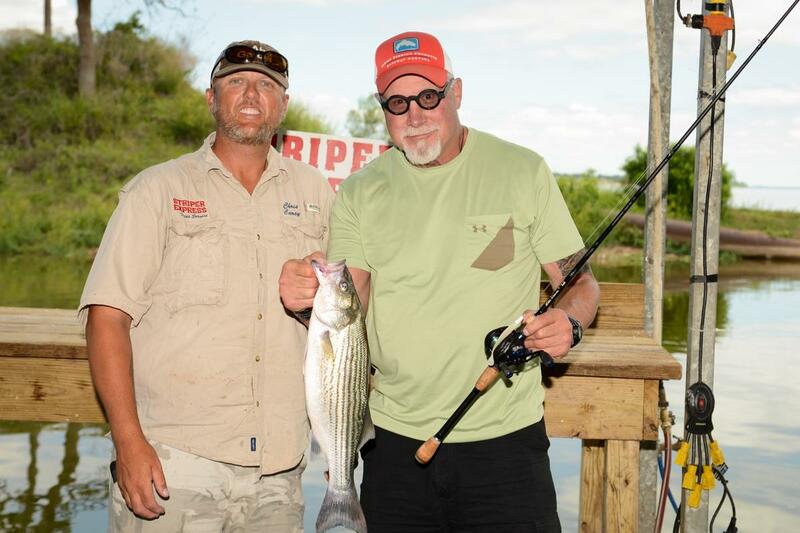 He joined with Striper Express Guide Service and auction winner Ken McDonald to benefit The Warren Center, a Dallas non-profit serving children with developmental disorders. Press Release (ePRNews.com) - DALLAS - Jun 05, 2017 - Ken McDonald Jr. and dad Ken Sr. enjoyed a day fishing Lake Texoma while talking football with Cowboy’s Hall of Fame legend Randy White. The McDonalds also aided an area children’s charity while doing it. White donated a day of his time to benefit the non-profit Warren Center of Dallas, Texas. Ken McDonald Jr. made the substantial winning bid for Randy’s day during the Center’s Annual Fantasy Football Draft Night. The Warren Center provides support, early childhood intervention, and therapy services for North Texas children with developmental challenges. Big fans of the Dallas Cowboys, Ken Jr. and his father celebrate the same birthday and both enjoy fishing. Ken Sr. was the most successful angler of the day, both in size of catch and number of fish landed. “This was an awesome experience. Fishing with Randy White, and watching my dad kick our butts all day long,” Ken Jr. said. About Striper Express Guide Service: Striper Express Guide Service, LLC provides World Class striper fishing charters on Lake Texoma. They specialize in groups, entertaining clients, and team building events. Captain Chris and his crew offer action-packed, value-based and awesome fishing experiences. Their niche is using artificial top-water lures with “the thrill of the hunt” style fishing to actively stalk their prey. Learn more by visiting http://www.striperexpress.com or call 903-786-4477. About The Warren Center: More information about the Center, its work, and how to donate is available at https://www.thewarrencenter.org/.